Wholesale is the predominant form of THT Nordmann’s activity. Each year we sell thousands of trees to wholesalers and large retailers all over Europe. 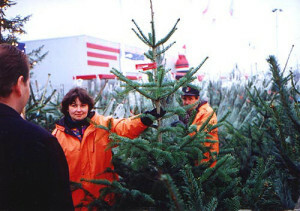 In 2004 our trees were sent to Germany, the Netherlands, Denmark, and naturally to Poland. Such large and well-known companies as Praktiker and Ikea are among our clients. Selling trees in large quantities, we had to create an economical and efficient system of packing, loading and transport. With the use of special machines, we pack our trees in palletes, which enables us to fit from 1000 to 2400 trees in one truck. Over the recent years, in the pre-Christmas period, we have also been establishing retail stands in some of the major cities of Poland. 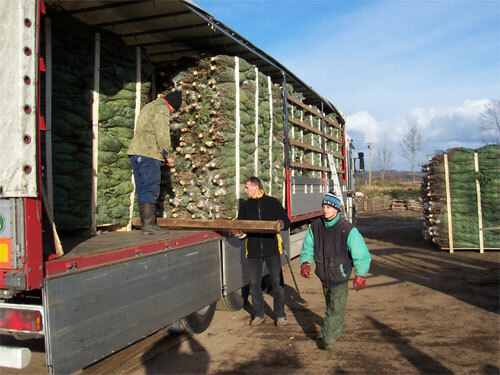 Having plantation in Pomerania, we are able to deliver the ordered quantities of freshly-felled trees to any place in Poland in a very short time. Both in wholesale and retail sale, we wrap our trees in a special polyethylene net. The net facilitates transport and protects trees from damage. Interested in collaboration? Contact us!